The joint venture will have combined annual sales of almost €2 billion. A privatization law for state-owned Nexter is undergoing a review under the constitutional court, as the upper and lower parliamentary houses have adopted the measure. (...) The Bode family controls KMW. French and German tank manufacturers Nexter and KMW on Wednesday sealed a tie-up to create an European tank-making giant that hopes to become a leader in the international market. After 10 years of discussions and a year of intensive negotiations, often overshadowed by reservations from the German side, the deal was inked at the defence ministry in Paris. France's state-owned Nexter and the privately owned Kraus-Maffei Weigmann (KMW) -which will not merge but instead create a new joint venture- together have an annual turnover of some two billion euros and employ 6,000 people. The enterprise is the latest in a line of European industrial tie-ups from the aeronautics industry such as Airbus and missile and defense systems manufacturers such as MBDA. Development of revolutionary engines at GE Aviation is setting the stage for the next 50 years in military aircraft propulsion, engineers there believe. Interessante. Dá para colocar no F-16? Turkish Aerospace Industries (TAI) has completed the delivery of the first batch of T129 attack helicopters to the Turkish Armed Forces. The batch comprises nine T129A helicopters built to an Early Delivery Helicopter (EDH) standard, with the final aircraft handed over in a ceremony on 31 July, a TAI spokesperson told IHS Jane's on 19 August. Turkey selected and ordered the Agusta A129 in 2007 as the basis for Turkey's attack and tactical reconnaissance (ATAK) programme. In total 51 of the locally modified and built T129s were ordered, with an option for 41 more (although current figures are for 50 plus 40). The initial batch of nine helicopters (described as A129s at the time) was ordered by Turkey in 2010 as a stop-gap measure for use against the Kurdistan Workers' Party (PKK) until the T129 entered service, after attempts to acquire 12 Bell AH-1W Super Cobra attack helicopters from the United States fell through. According to local media reports, the T129s have already been involved in the recently renewed fighting against the PKK. TAI said production has now begun in Ankara of the main batch of 50 T129B helicopters. The first of these is expected to be delivered in the fourth quarter of 2015, with deliveries running until 2018. The first 30 T129Bs will be of an initial T129B1 (TUC-1) standard, featuring an Aselsan mission computer; AselFLIR-300T nose-mounted targeting turret, EW, and countermeasures; Thales helmet-mounted cueing system; and Hellfire II or Spike ER missiles. 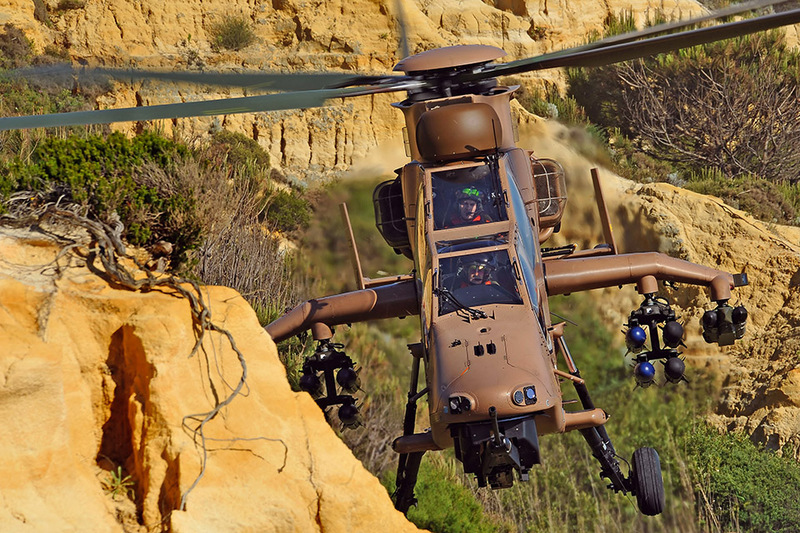 The final 20 helicopters will be of the T129B2 (TUC-2) standard, including an Aselsan AVCI helmet-mounted cueing system; Roketsan UMTAS anti-tank missiles and Cirit laser-guided 70 mm rockets; and improved UHF/VHF communications. The Pentagon is expected to downselect a supplier for its Joint Light Tactical Vehicle (JLTV), a long-planned replacement for the Humvee, bringing a potentially significant windfall to either AM General, Lockheed Martin, or Oshkosh. A Defense Acquisition Board meeting to finalise the low-rate initial production (LRIP) plan for the programme is scheduled for 25 August - although these dates often change - and shortly after that a contractor team would be selected for production. An engineering and manufacturing development (EMD) phase has been ongoing since August 2012, when contracts were awarded to teams led by the three companies, with each submitting 22 prototypes for testing. That phase is scheduled to end in November. The US Army plans to buy 49,099 production vehicles from fiscal year 2015 (FY 2015) through FY 2040, with 2,200 annually from FY 2020-36. The US Marine Corps (USMC) plans for 5,500 production vehicles from FY 2015-21. If the LRIP phase is successful then full-rate production (FRP) could begin in FY 2018, resulting in an initial operational capability by mid-2018 for the USMC. Procurement for the army is to run through around 2040. In August 2012 contracts for the JLTV programme's current EMD phase were awarded to teams led by AM General, Lockheed Martin, and Oshkosh, with each team submitting 22 prototype vehicles for the upcoming testing. O escritório de projetos Skunk Works (da Lockheed Martin) está projetando a próxima geração de aeronave de espionagem a alta altitude e longa distância. Internamente ela é conhecida como RQ-X ou UQ-2 e seria sucessor natural do U-2 e do Northrop Grumman RQ-4 Global Hawk. O novo avião deverá combinar as melhores características do U-2 e do Global Hawk numa célula de projeto furtivo. O motor empregado deverá ser o General Electric F118 (mesmo motor do B-2) cujo desempenho é otimizado para voar em altitudes de 70 mil pés ou mais. A aeronave também deverá transportar muitos dos atuais sensores já calibrados para uso nessa altura. As informações foram divulgadas no ano em que o projeto original do U-2 comemora o seu 60º aniversário. 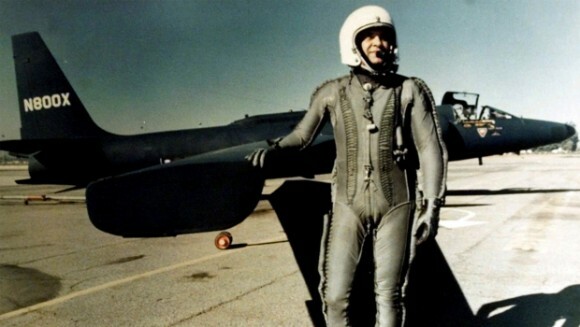 A Força Aérea dos Estados Unidos (USAF) não tem nenhum requisito formal para um sucessor U-2, nem uma data para começar a investir no assunto, mas a Skunk Works vê uma necessidade futura e já trabalha na concepção. A Airbus Helicopters realizou a primeira apresentação dinâmica do helicóptero Tigre em Varsóvia, na Polônia, na última quinta-feira, 27. A aeronave demonstrou suas capacidades no país uma semana antes de pousar para exibição na 23ª edição da MSPO – Feira internacional da Indústria de Defesa, que acontece até 4 de setembro, na Ucrânia. Northrop Grumman's Joint Surveillance Target Attack Radar System (JSTARS) offering could be delivered to the US Air Force (USAF) and in service by 2021, ahead of a six-year period of costly acquisition for the service, company executives said during a briefing at their platform provider Gulfstream's facility in Savannah, Georgia. The USAF currently plans to begin replacing the legacy Northrop Grumman E-8C JSTARS with a new business jet-based solution by 2023. "At the end of the day we think we can go a lot faster," said Alan Metzger, vice-president for next-generation surveillance and targeting at Northrop Grumman's military aircraft systems division. He said accelerating the programme would avoid the 2022-28 time frame when the air force is procuring the Lockheed Martin F-35 Lightning II combat aircraft, the Boeing KC-46A Pegasus tanker, and the long-range strike bomber all simultaneously. Last month the USAF awarded USD10-11 million pre-engineering and manufacturing development contracts for JSTARS to Northrop Grumman, Lockheed Martin, and Boeing. Northrop Grumman is working with business jet manufacturer Gulfstream and systems integrator L-3 Aerospace Systems, while Lockheed Martin has said it is partnering with Bombardier and Raytheon. Boeing has not announced any partnerships to date. The air force is turning to a business jet solution for the new JSTARS in order to cut operating costs. A business jet will use up to 80% less fuel than the legacy Boeing 707-300 and accommodate a 12-person crew instead of the current 21. Northrop Grumman executives said they will likely offer the Gulfstream G550, but the longer-range G650 remains an option should the USAF increase its range requirement. The G550 has a range of 6,750 nm at Mach 0.8, while the G650 has a 7,000 nm range at Mach 0.85, according to a company fact sheet. The G650 can also reach 41,000 feet in 25 minutes, according to Troy Miller, regional vice-president for military and special mission sales at Gulfstream. The ability to reach high altitudes is also an important factor for the air force, said Metzger. "You can put the biggest radar on the biggest jet you have and if you fly at an altitude lower than something that flies higher, you're not going to see anything else because you've got blockage" on the ground, he said. "There are larger radars out there, but you can't really take advantage of them if you can't fly them any higher." The Northrop Grumman team has been flying a G550 JSTARS prototype for the last three years. The aircraft already has about 60 to 70% of its JSTARS-specific modifications, according to Metzger. A new remote-controlled 20mm naval cannon manufactured by the air defence arm of Rheinmetall Defence will be qualified and ready for sale by the end of the year, company officials have said. The Searanger 20 is currently going through manufacturer trials to test components such as the electronic trigger mechanism and the weapon’s control unit. Customer firing demonstrations took place at Rheinmetall’s testing facility in Studen, Switzerland on 20 October with several nations attending. 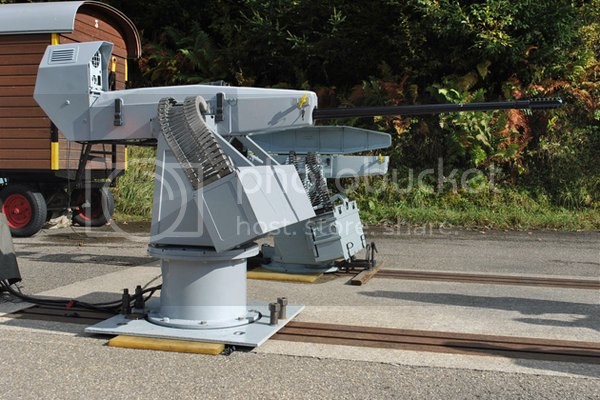 The fully-stabilised system shares components with the manually-operated GAM-B01 20mm weapon, which is still in service with navies worldwide, including the Royal Navy. Craig McLoughlin, senior VP for naval systems at Zurich-based Rheinmetall Air Defence, told Shephard that the company was now around ‘two-thirds’ through the qualification phase. Two prototype systems are currently being used for the trials. ‘The cannon is already qualified so all we have to do is the qualification firings for the remote trigger device, and the cannon control unit,’ McLoughlin explained. Weighing around 570kg fully loaded with 200 rounds, the remote-weapon system is being promoted as a primary weapon for patrol boats as small as 23m and an option to replace less powerful 12.7mm (50 .cal) weapons on larger craft. ‘They need a more powerful cannon and of course with a 20mm like this, it’s a quantum leap,’ said McLoughlin. It is designed primarily to counter asymmetric and unconventional threats including fast inshore attack craft (FIAC) and has a range of 2,000m. This is expanding the potential market for the weapon system beyond traditional naval customers. The company predicts success with coast guards, interior ministries and border patrol agencies. ‘I expect that we will close at least one contract this year and we’ve got at least another half dozen in the pipeline, we will probably see a couple more next year. They are really different customers to what we usually work with,’ he said. The current sensor for the system is the OBA-150L, a day/night camera and laser range finder mounted above the barrel. This is teamed with the Vingmate fire control system, which increases the possibility of hitting the target with the first shot. The weapon is controlled from a remote station that can be situated up to 100m away from the gun itself. Firing modes include single shot, rapid fire at 200 rounds-per-minute and full burst mode at 1,000 rounds-per-minute. Mike Gerber, product manager for naval guns at Rheinmetall Air Defence, said that unlike legacy cannons, the electronic trigger allows the operator to fire a precise number of rounds in rapid-fire mode. ‘You can also implement safety functions that were not possible before…for example you can give stop fire switch to the captain so that he can decide when to fire,’ he added. Rheinmetall Air Defence has also developed a new type of 20x128mm ammunition to fire from the weapon, called SAPPIE-T (semi-armour piercing pyrotechnically induced effect and tracer). The round has armour piercing capabilities but does not contain explosives or a fuse, meaning it is much safer to handle. The SAPPIE-T round is also expected to be qualified by the end of year with officials stating that the cost will be ‘significantly less’ than legacy HE rounds. AgustaWestland has confirmed reports that an AW609 prototype crashed this morning, killing both pilots. Our sympathies go out to the pilots' families, friends and coworkers. On February 8, 2016, ANTONOV Company completed assembly of the fuselage of the first new transport aircraft−demonstrator AN−132D. At present, works on the aircraft final assembly (joining the main aircraft aggregates – wing, tail union, pylons, engine nacelles) are in progress at the enterprise. According to Mykhaylo Gvozdov, President of ANTONOV Company, "the next stage of the first AN−132 construction was performed in accordance with the approved schedule. So, we meet commitments to our partners and keep the fixed terms of the program development". Completion of the AN−132 construction is scheduled for the end of 2016. After series of the test flights, ANTONOV Company and its partners on the programme: King Abdulaziz City for Science and Technology, Taqnia Aeronautics Co. (Kingdom of Saudi Arabia) will present the aircraft to the potential customers in Saudi Arabia. "Our country needs such airplanes, the market has very high potential. Creating the AN−132 we generated a cluster of aerospace industry in one platform. We had a study that forecasting very good number of this aircraft to be utilized in Saudi Arabia", – said Dr. Khaled Abdullah Alhussain, Director of National Aerospace Technology Center, KACST. Aircraft operators from South−East Asia and Latin America expressed their interest in the AN−132. Questions on the interaction on the AN−132 programme, development and initiation of the new joint will be discussed during participation of ANTONOV Company in AFED−2016 to be held in Ar Riyadh, Kingdom of Saudi Arabia, within a period from the 21st to the 28th February 2016. This Agreement sets certain plans as for delivery, organization of operation, after−sale support of Antonov aircraft of the AN−132, AN−148 families and AN−178. It also concerns further joint works on organization of cooperative production of the AN−132 in KSA.